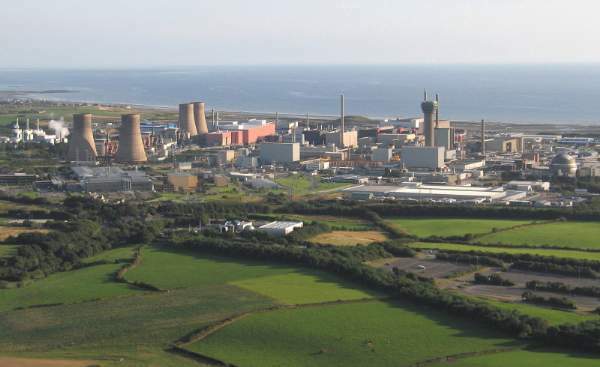 About a mile north of Seascale is BNFL’s Sellafield Nuclear Site. Here was the site of the world’s first commercial nuclear power station, Calder Hall, operating from the early 1950’s until 2004, and the Windscale Nuclear Reactor (Piles) – Britain’s first attempt at a nuclear reactor to produce plutonium for the war effort, which suffered a major incident in 1957. 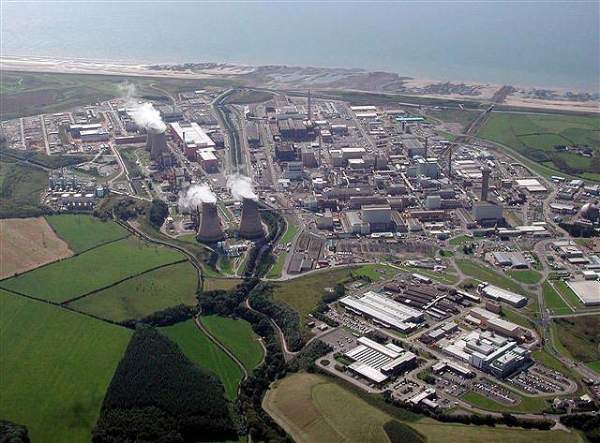 Here also is the Sellafield Reprocessing Plant – a site that converts the spent fuel from nuclear reactors worldwide into re-useable uranium, plutonium, and highly radioactive fission products that will have to be safely stored for thousands of years. The former Sellafield Visitors’ Centre is no longer open. Sellafield – from Wikipedia, the free encyclopedia.